OpenMP task is the most significant feature in the new specification, which provides us with a way to handle unstructured parallelism. This paper presents a runtime library of task model on Cell heterogeneous multicore, which attempts to maximally utilize architectural advantages. 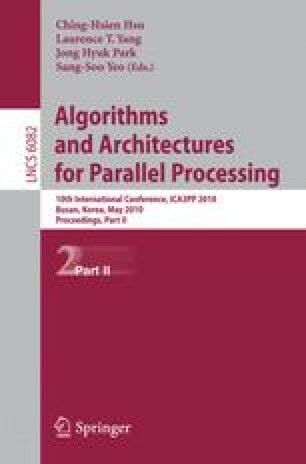 Moreover, we propose two optimizations, an original scheduling strategy and an adaptive cut-off technique. The former combines breadth-first with the work-first scheduling strategy. While the latter adaptively chooses the optimal cut-off technique between max number of tasks and max task recursion level according to application characteristics. Performance evaluations indicate that our scheme achieves a speedup factor from 3.4 to 7.2 compared to serial executions.